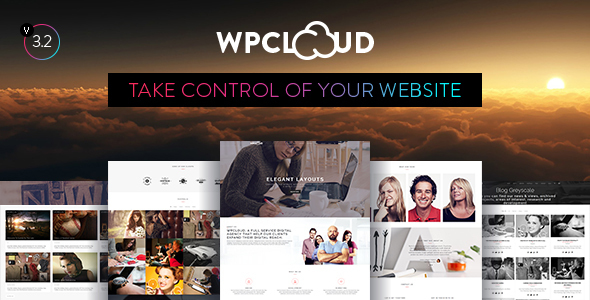 WPCLOUD is a One page style design WordPress Theme suited for creative designers, photographers, bloggers, product or service landing pages and individuals. The theme is fully responsive and with a nice parallax effect. Easy to setup and it comes with wide color customization, extended typography settings, Typekit support and fully customizable sections. Created with Beautiful design and creative look, bring WPCLOUD Theme to be good to look at, clear with readable texts, easy on the eyes, nicely balanced. It includes several layouts styles to perfectly showcase your work, shown in the two different demos. Further, the absolutely awesome and new premium Essential Grid plugin is included which takes portfolio creation to a new level. Compatible with WPML, WooCommerce 3.1.x, WooCommerce 3.0.x, Visual Composer 5.1.x, Visual Composer 4.12.x. WPCLOUD has been tested with browsers IE9, IE10, IE11, Firefox, Safari, Opera, Chrome.